Why are the Joshua Trees dying? 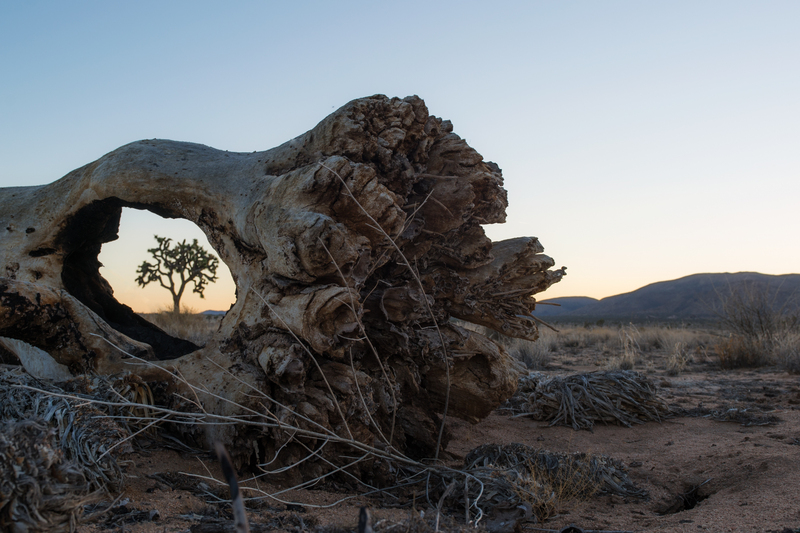 Through a hollowed out section of a dead tree, another living Joshua Tree sits in the setting sun. Experts expect the Joshuas to vanish entirely from the southern half of California within a century. The ancient plants are dying in the Joshua Tree National Park. Already slow and difficult reproducers by nature the Joshua Trees are the victim of global warming and its symptoms – including fire and drought – plus pollution and proliferation of non-native species. The Seussian looking trees are actually plants, a relative of the yucca. Joshua trees are a foundation species, providing habitat for other animals that otherwise would disappear.